What if I told you, you could have a mini chainsaw that you could hold in one hand like a power drill! Well, that's just what the Bosch EasyCut does when you have the NanoBlade attachment installed onto it. 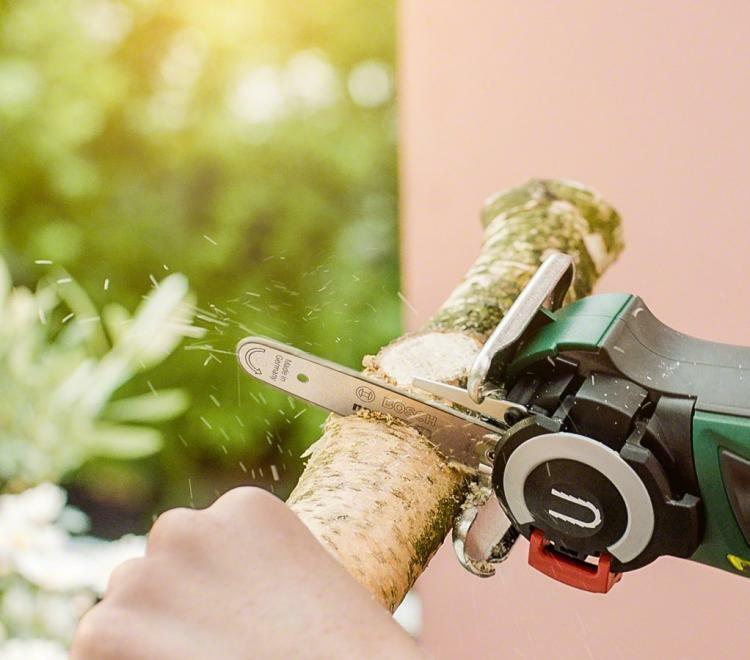 It's a little mini chainsaw blade that gets put right on a little handheld power tool. It's part cute, part manly, part awesome! And it's actually extremely useful, especially for trimming branches on your trees! 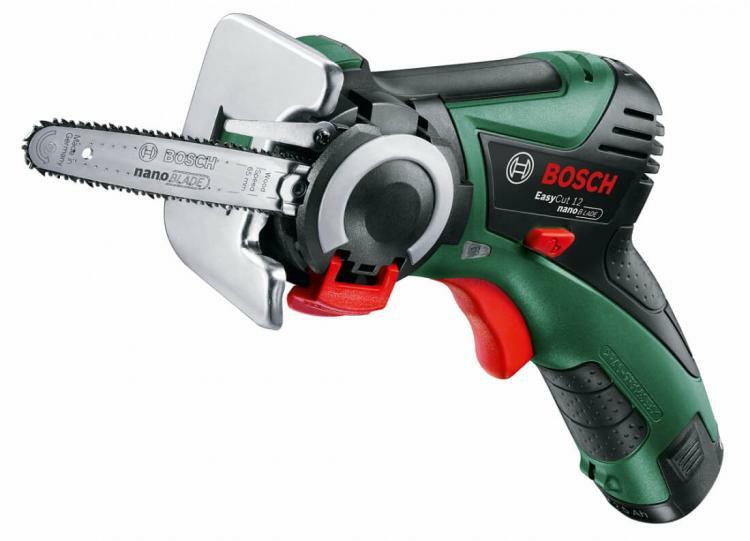 Picture a cordless drill, now instead of a drill on the end of it, there's a mini chainsaw. 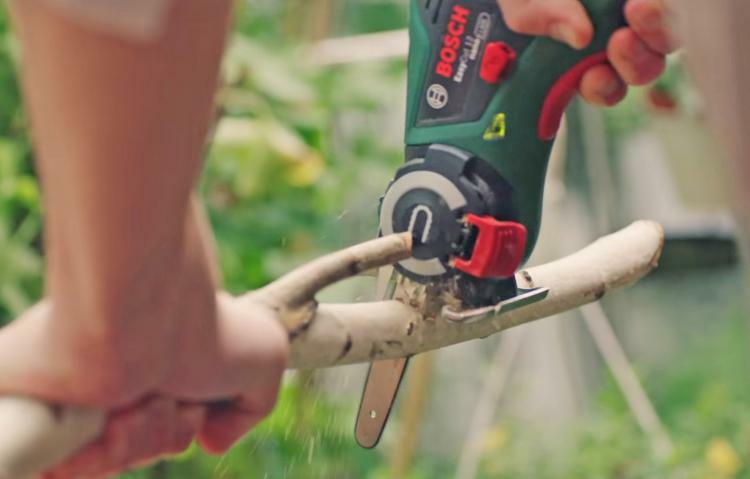 That's exactly what the Bosch EasyCut does with the NanoBlade chainsaw attached to it. It makes for extremely versatile use for all of your mini cutting needs. The mini chainsaw power tool allows for easy freehand cuts without even needing to clamp down the workpiece. It allows for easy and versatile cutting both indoors and outdoors while quickly performing quick and straight cuts. 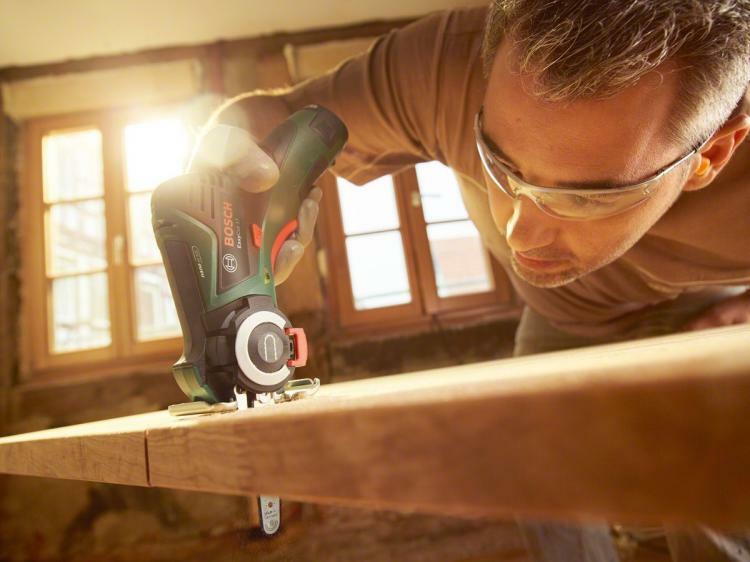 The NanoBlade technology on the Bosch EasyCut power tool offers vibration-free cuts while allowing you to saw right up next to edges thanks to the new redesign of the tool. Plus, the tool is completely maintenance free, requiring no oiling, or sharpening of the mini chainsaw blade. 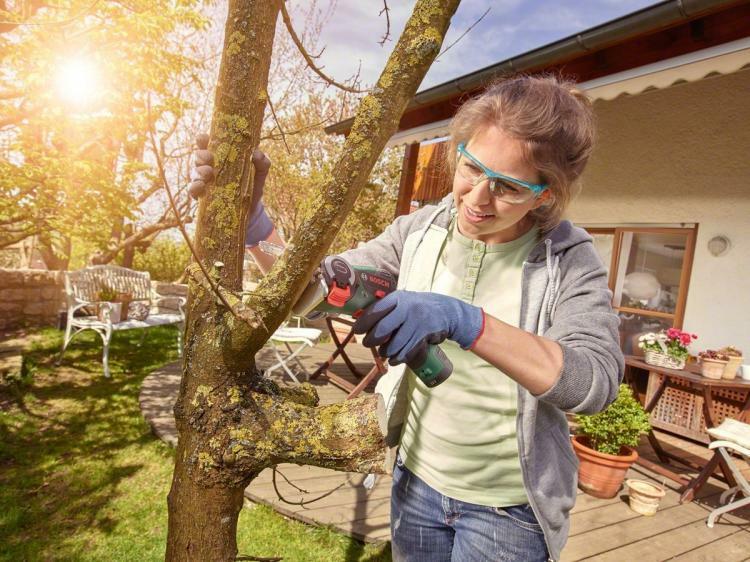 The Bosch EasyCut mini chainsaw power tool is super easy and safe to use, and offers super quick blade changes by simply opening the hatch, changing the saw blade, and then closing the hatch. 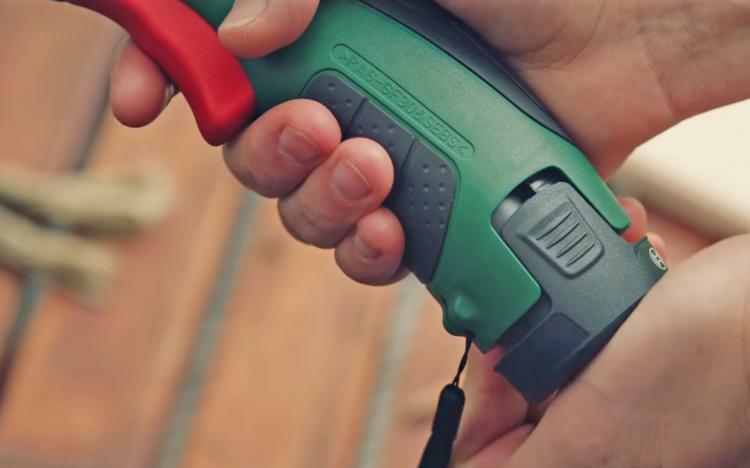 The mini chainsaw power tool is powered by an internal lithium-ion battery that's easily and quickly recharged. 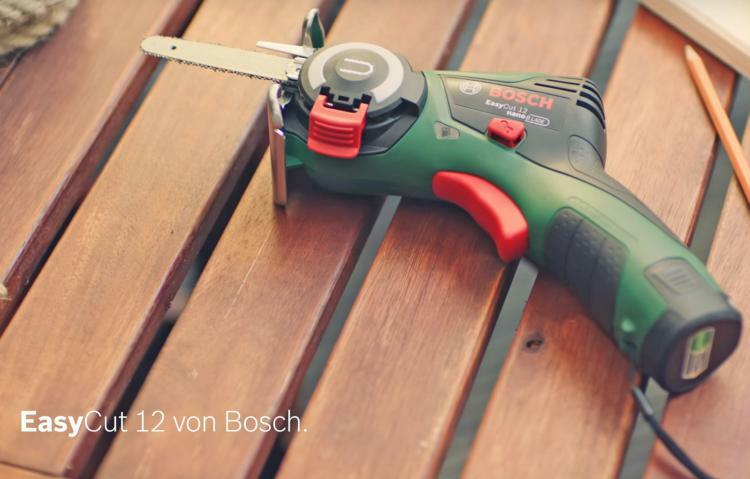 Plus the battery is interchangeable with all other tools in Bosch's "Power For All" system lineup. 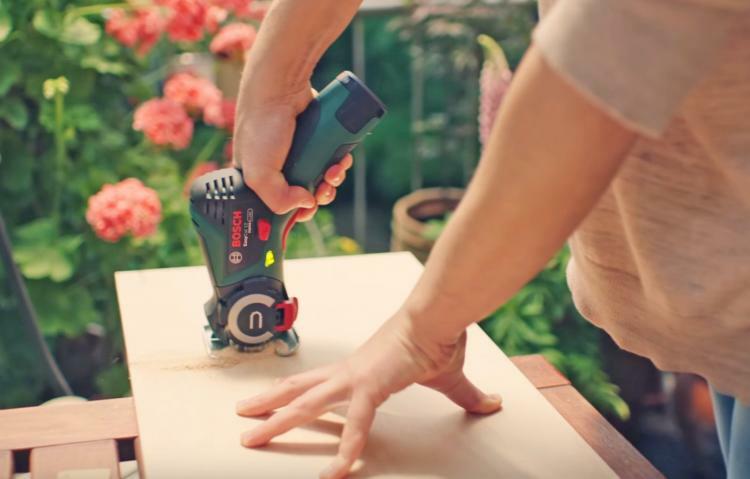 Using the trigger on the Bosch EasyCut you can easily control the speed of the blade. Push it in just a little bit for slower rotations, then the farther you push the trigger handle in, the faster the blade on the mini chainsaw will rotate. 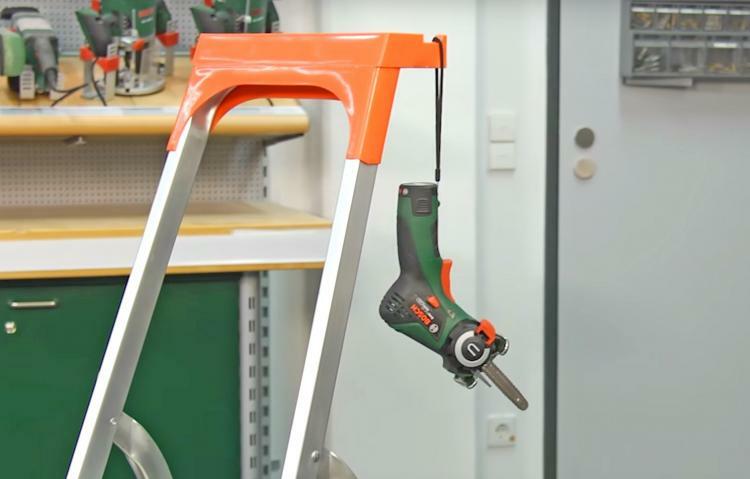 The Bosch EasyCut mini chainsaw can be easily stored and hung upside down using the attached storage loop. 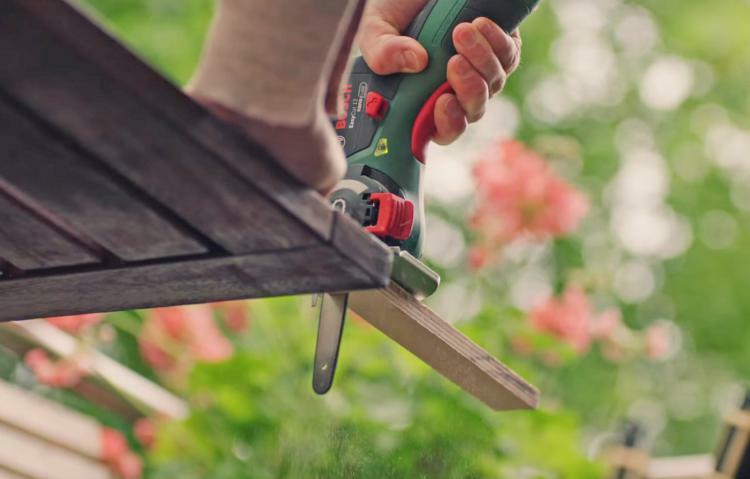 This also makes it super convenient to store the power tool onto a branch or a ladder string during work. 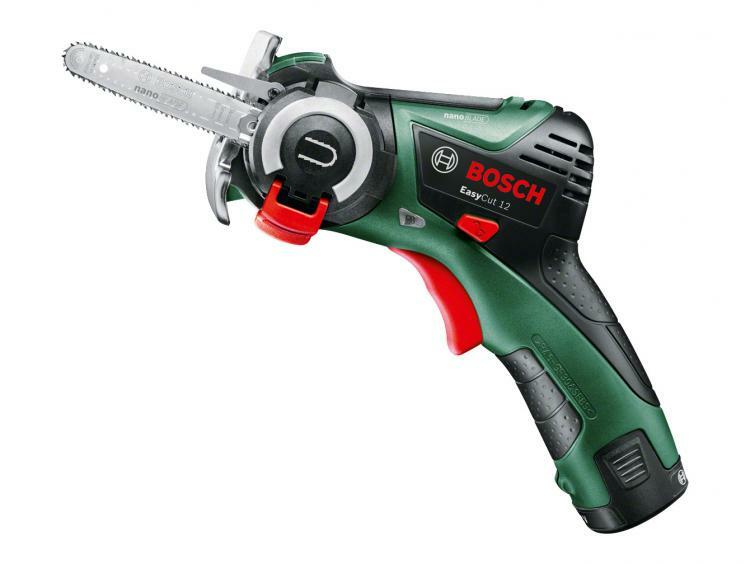 The Bosch mini chainsaw power tool uses a 12 V battery, has a cutting depth into wood of 65 mm, has a no-load speed of up to 4,100 RPM, and is green in color. 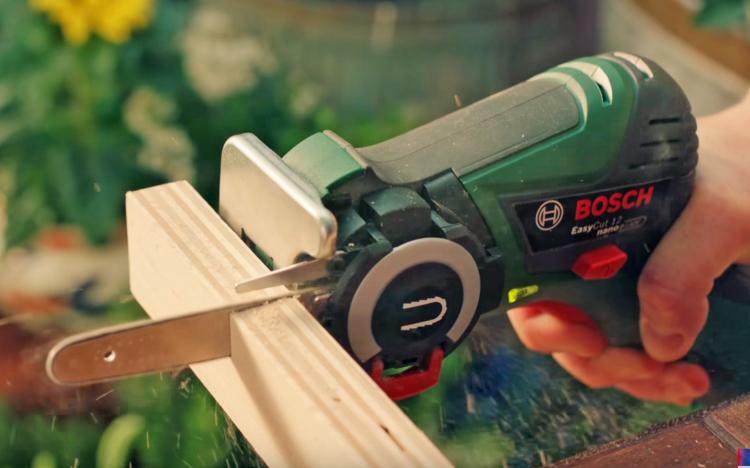 Check out the Bosch EasyCut NanoBlade mini chainsaw in action via the video below.